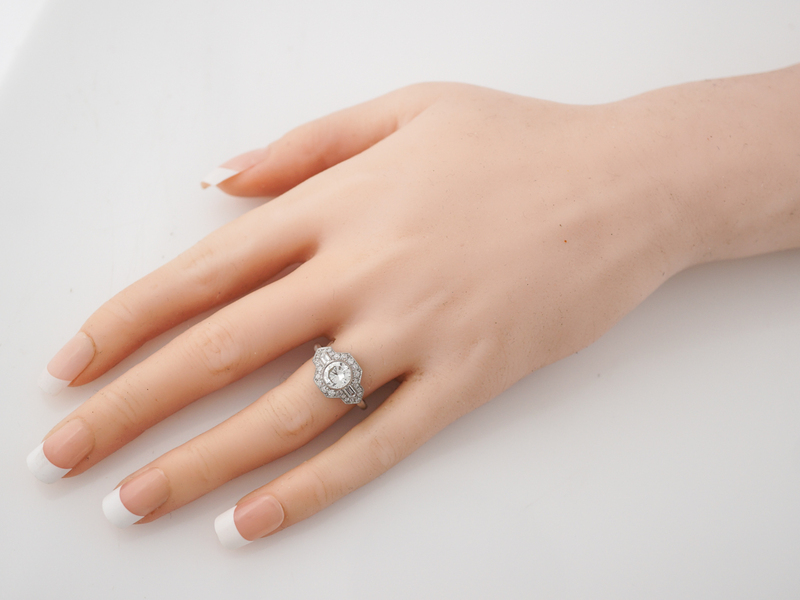 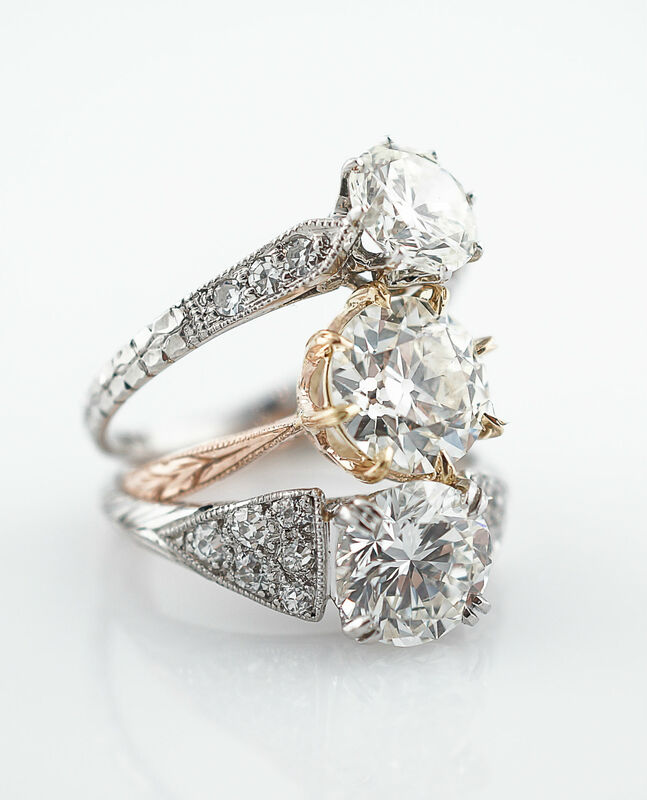 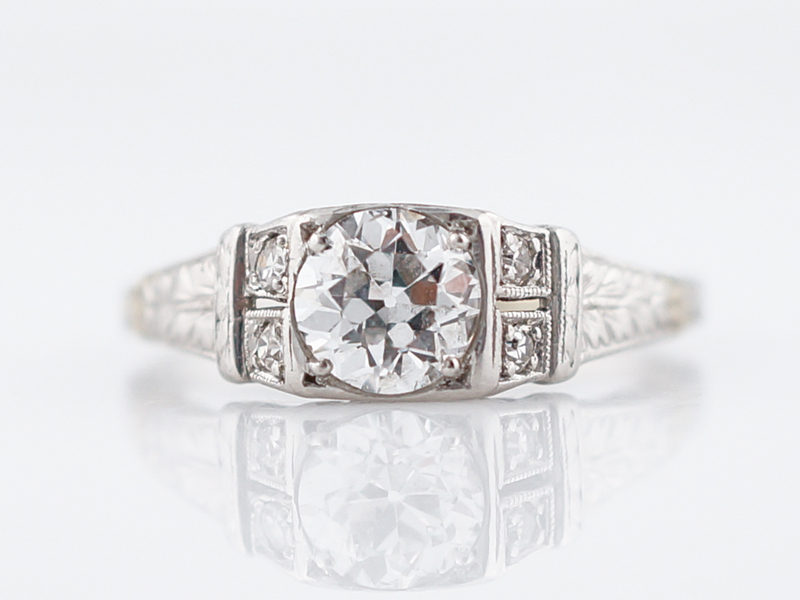 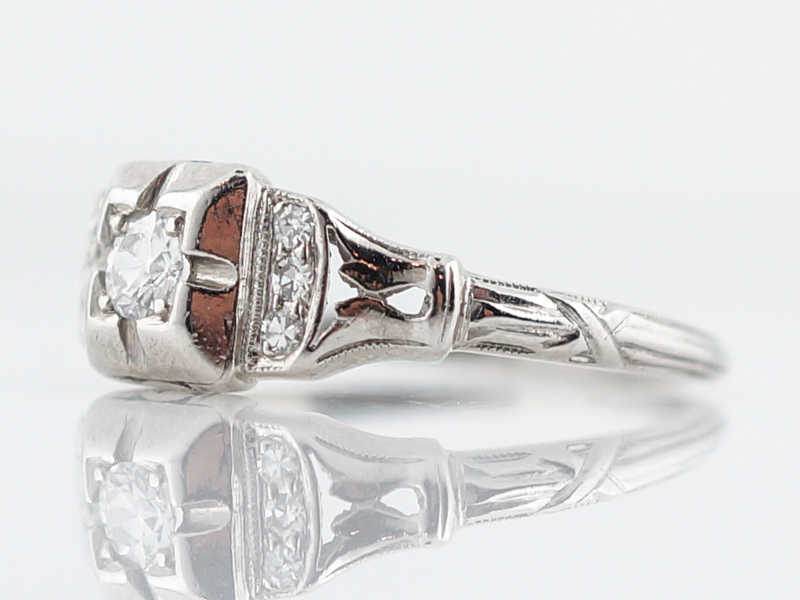 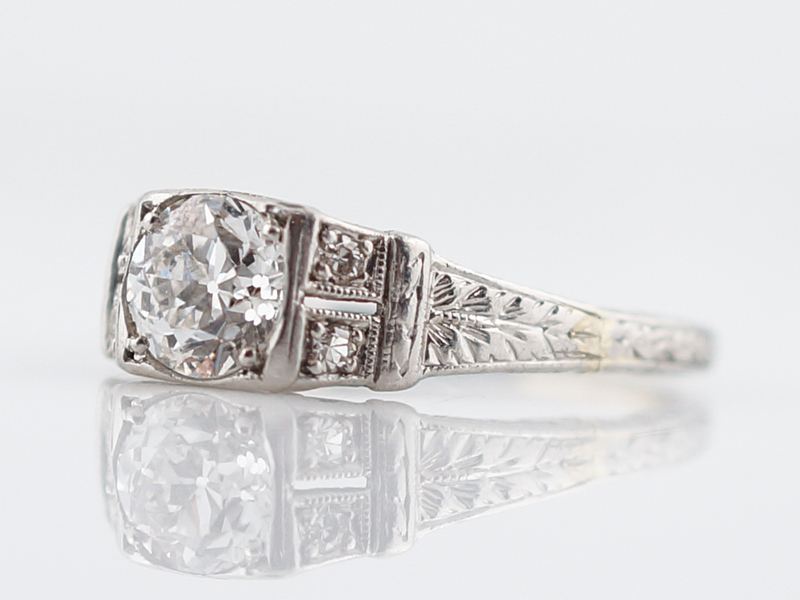 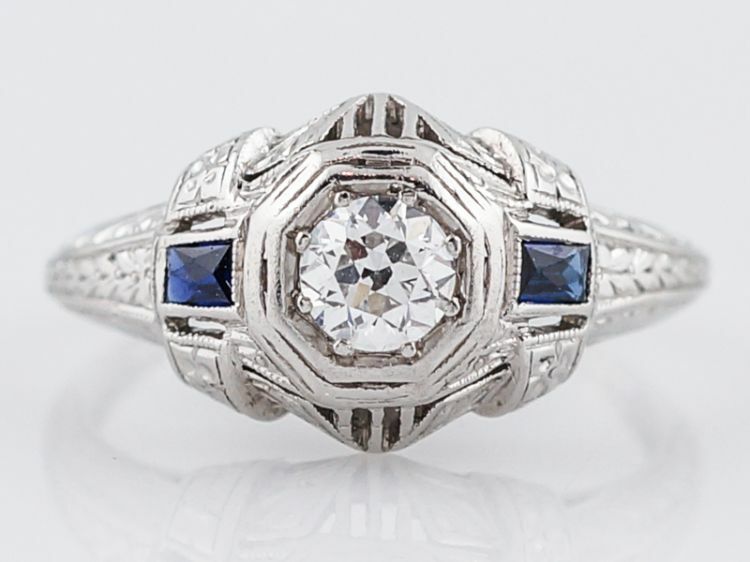 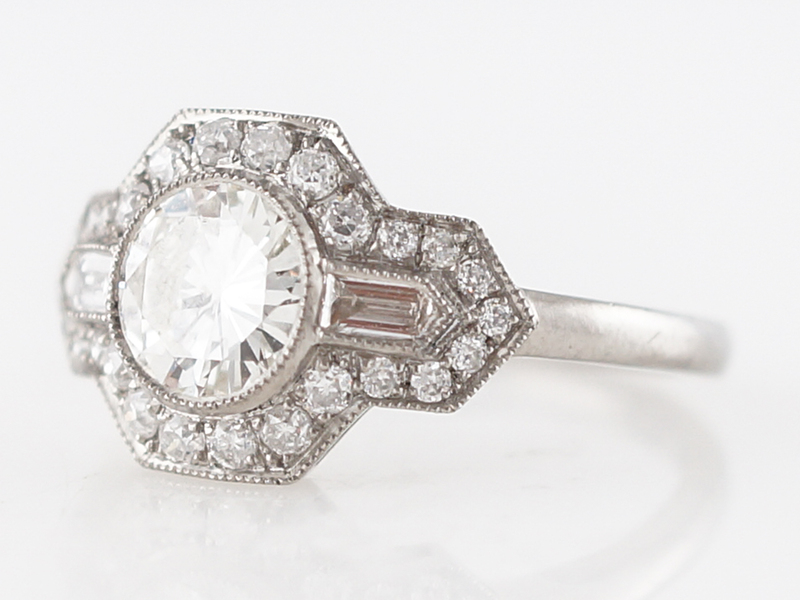 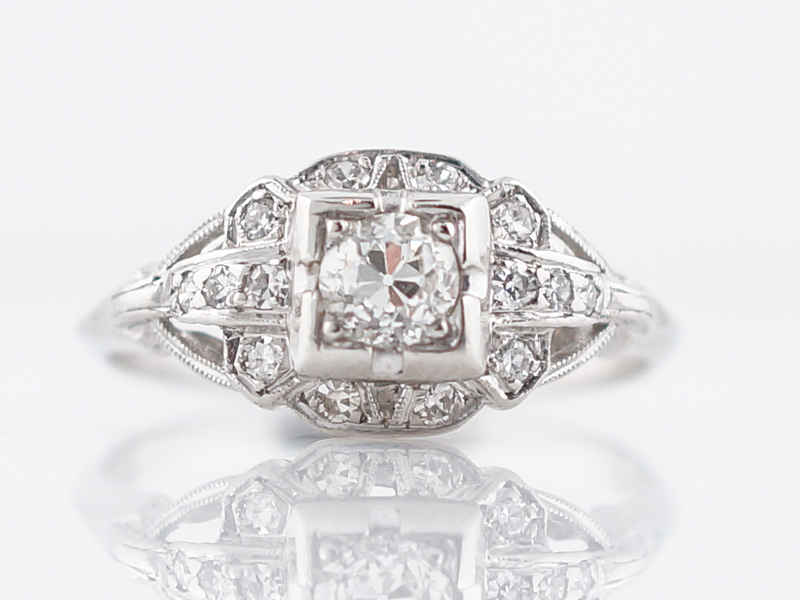 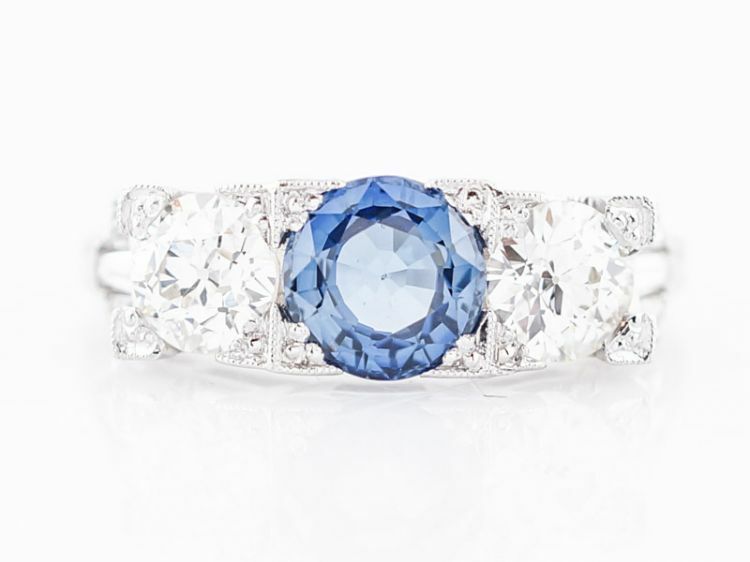 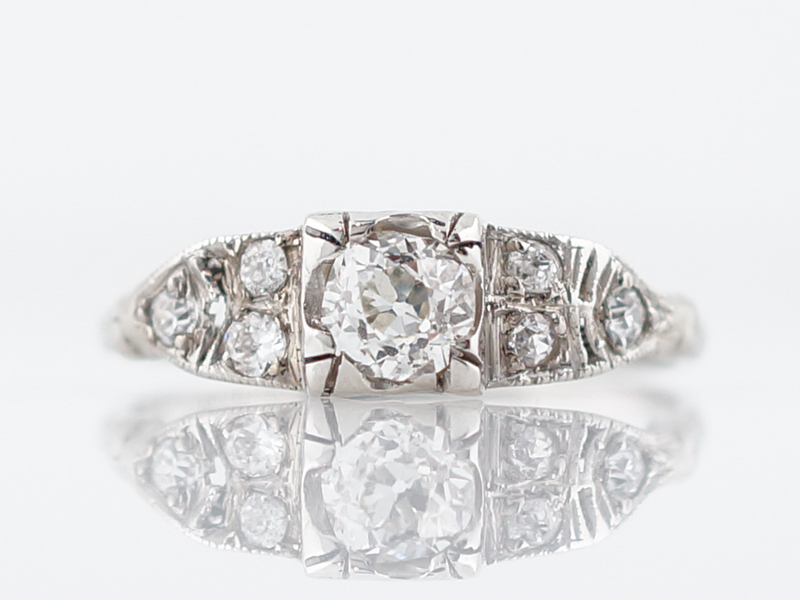 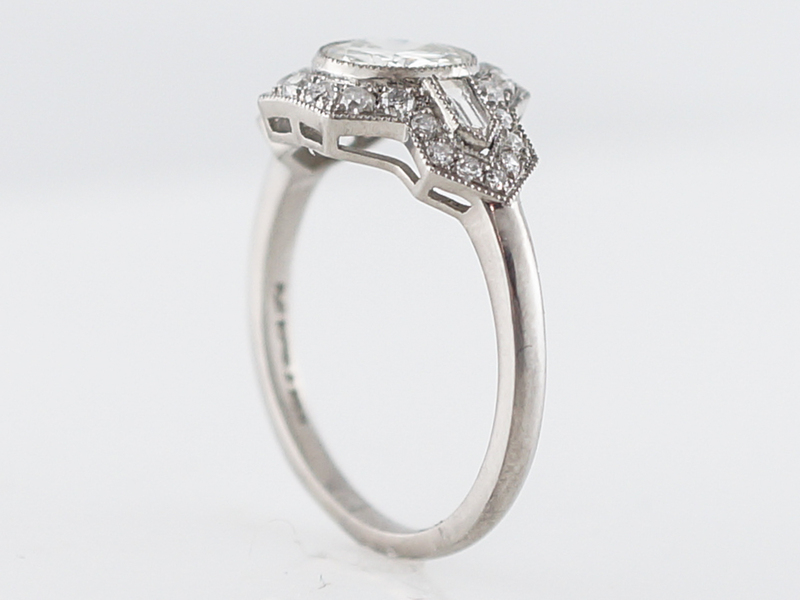 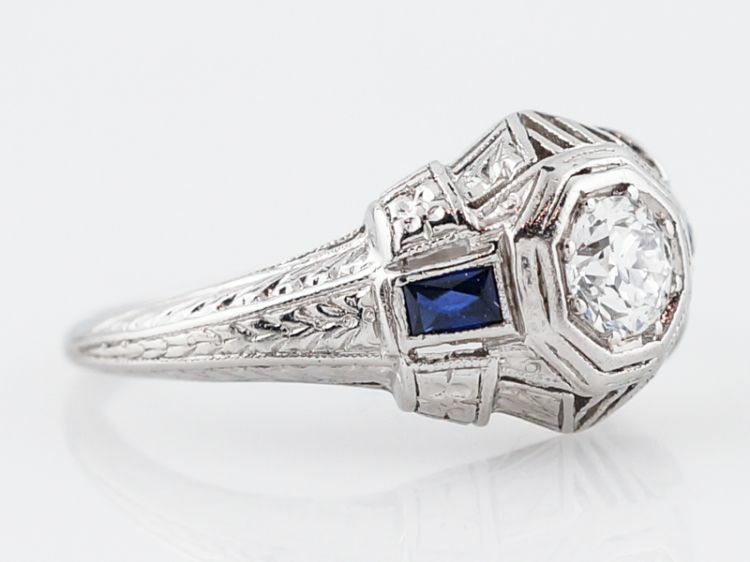 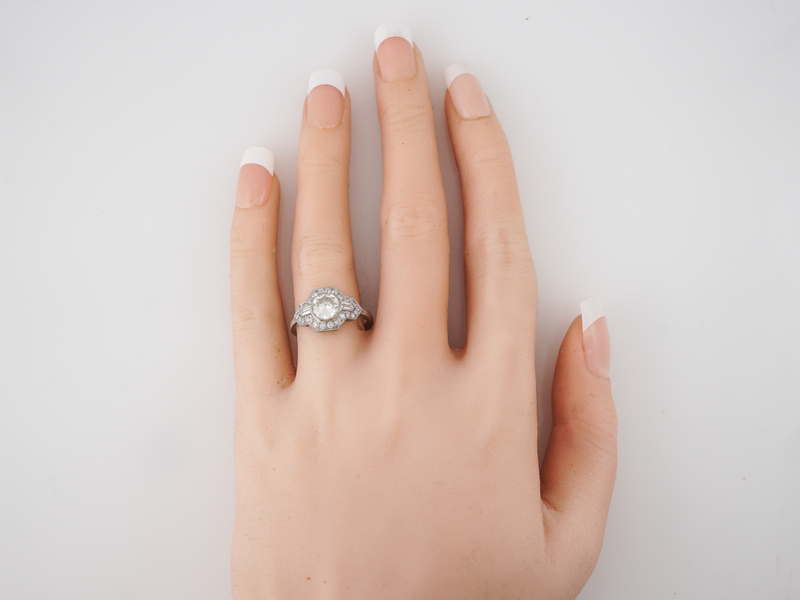 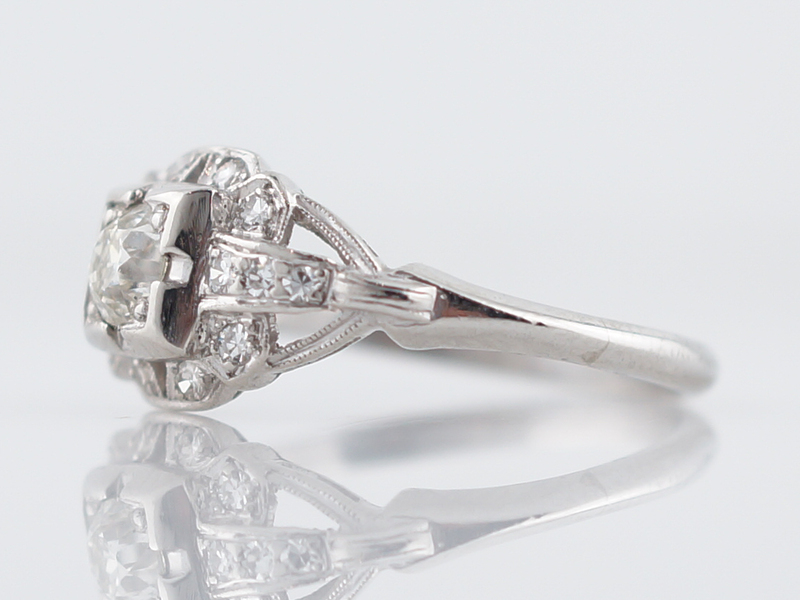 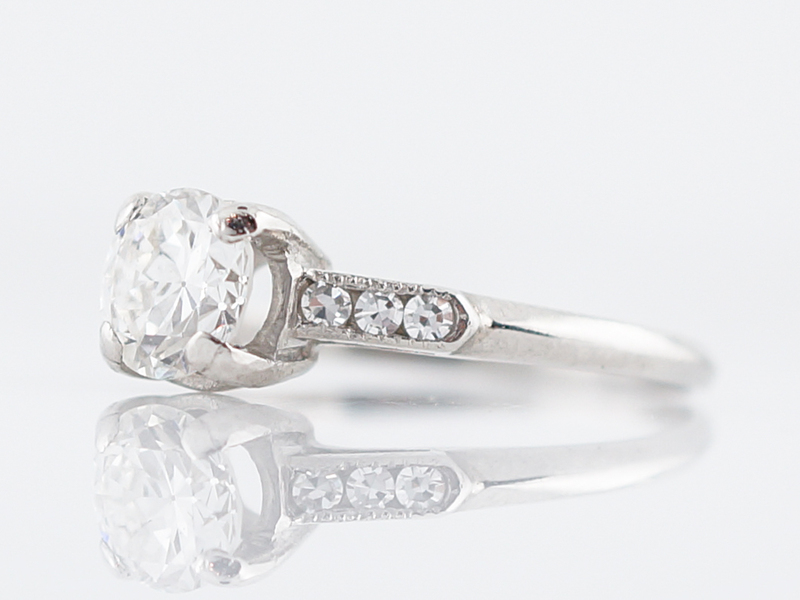 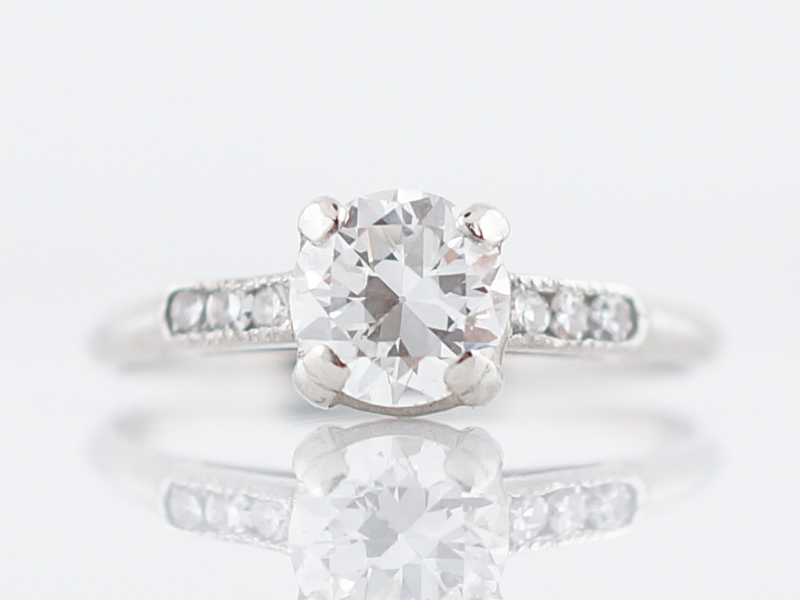 This modern engagement ring is an exceptional example of an Art Deco inspired contemporary design. 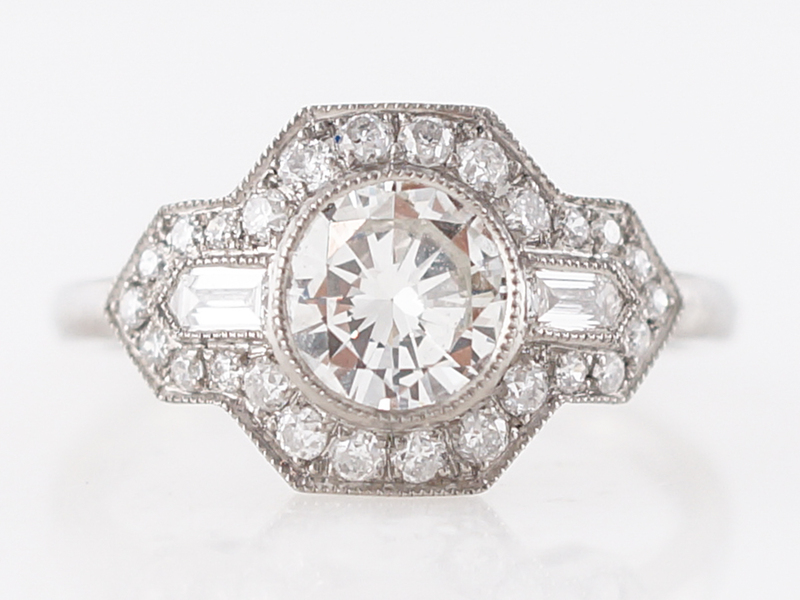 This dignified ring features a remarkable .83 carat, bezel set, transitional cut diamond. 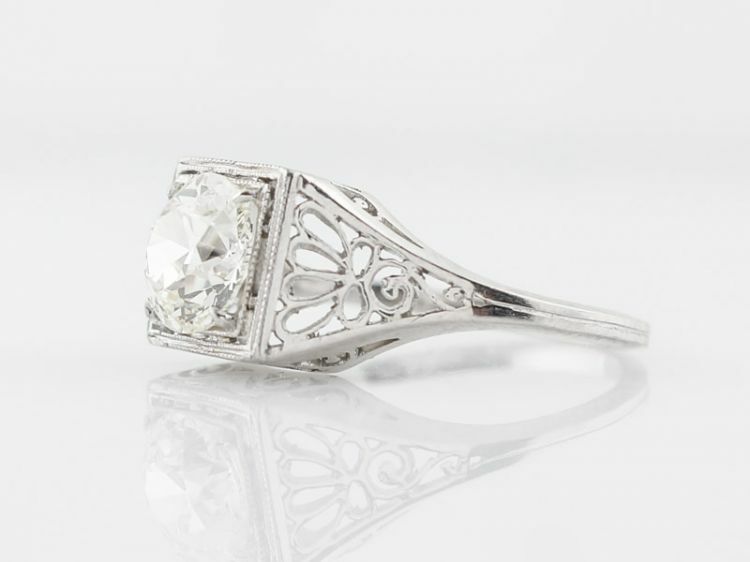 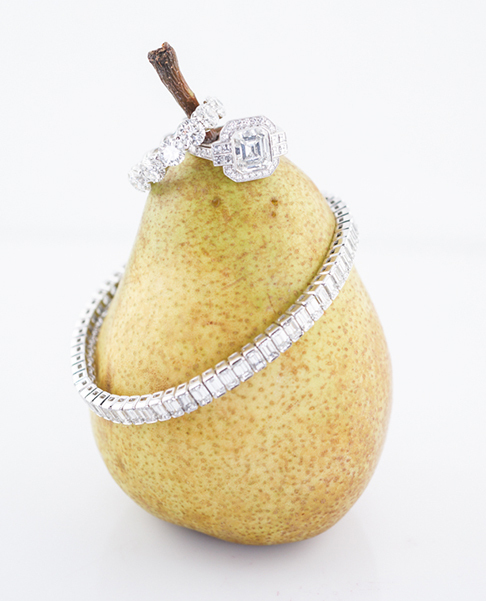 The gorgeous quality of the stone is further emphasized by a array of accent diamonds including two baguette cut diamonds, one on either side. 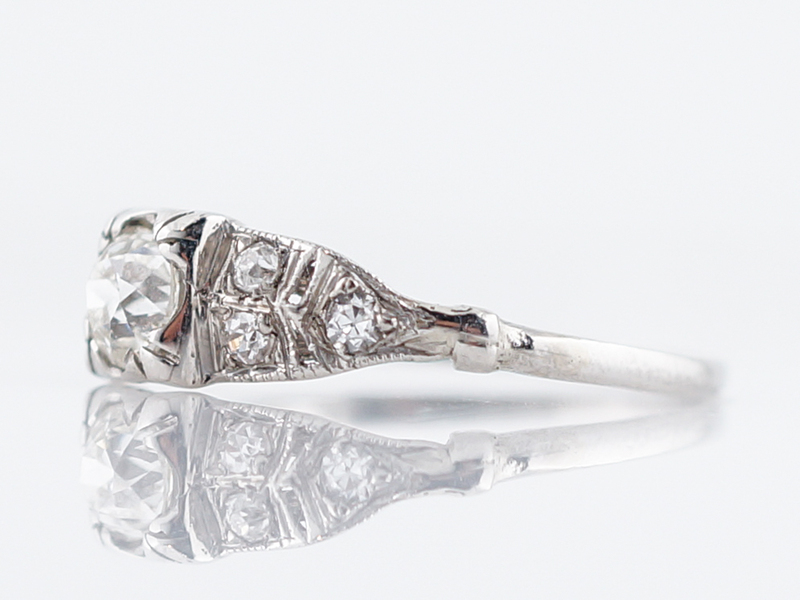 The variety of shapes and sizes give this platinum engagement ring a very ornate look with a total diamond weight of 1.28 carat. 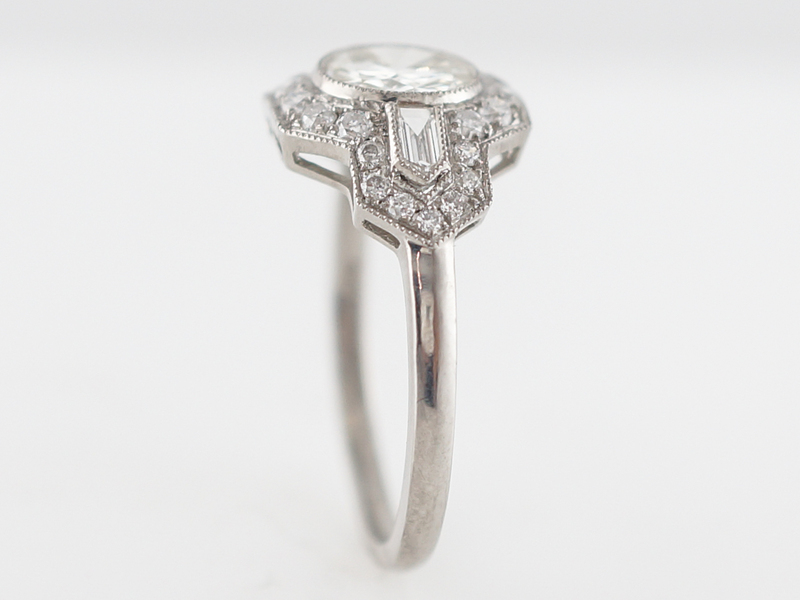 This modern engagement ring is an exceptional example of an Art Deco inspired contemporary design. 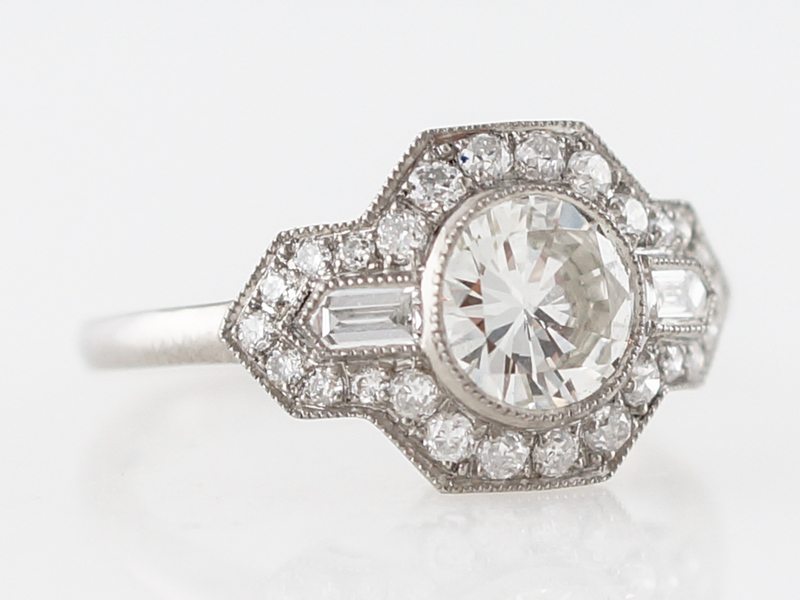 This stunning ring features a gorgeous .83 carat bezel set transitional cut diamond. 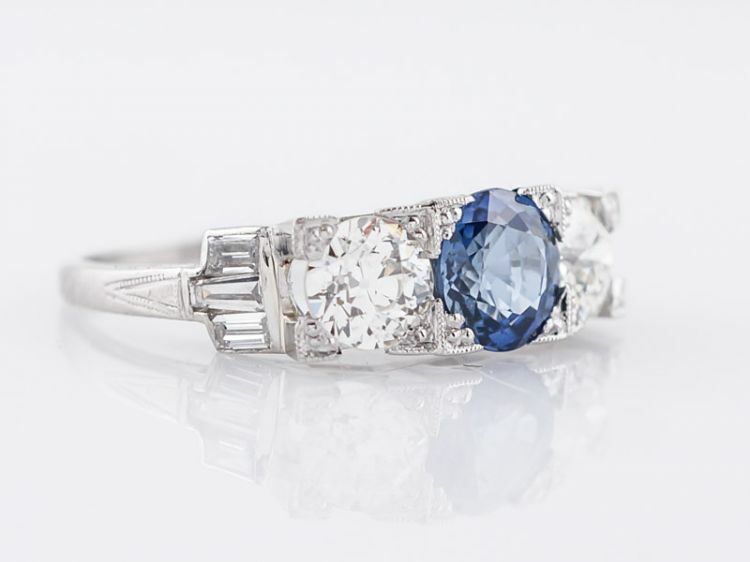 With faceting the resembles both round brilliant and old European cuts, the gorgeous quality of the stone is further emphasized by a array of accent diamonds including two baguette cut diamonds, one on either side. 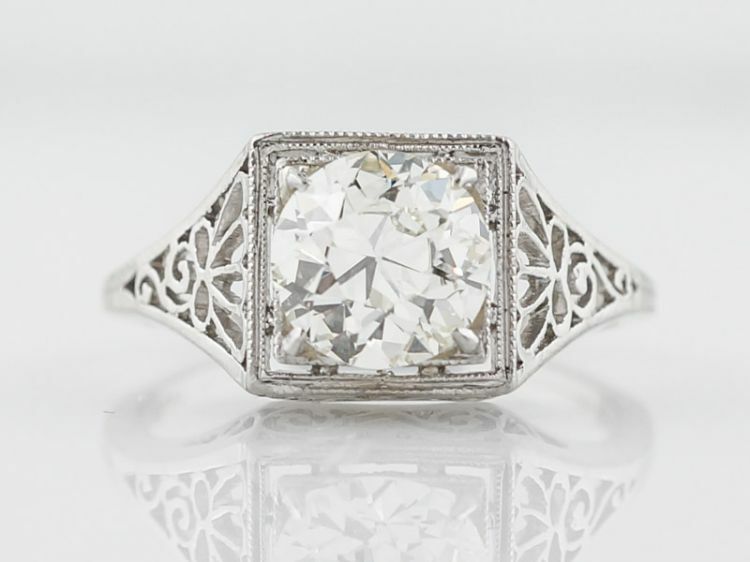 The variety of shapes and sizes give this platinum engagement ring a very ornate look with a total diamond weight of 1.28 carat. 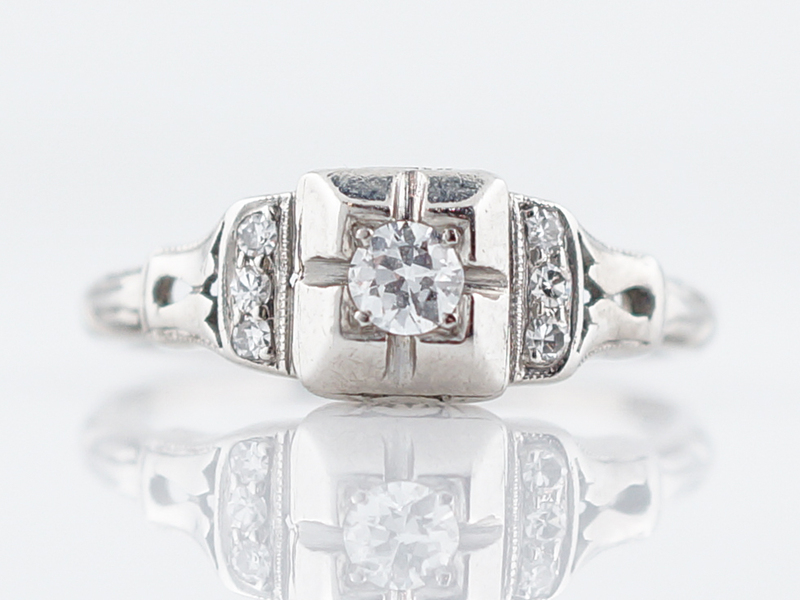 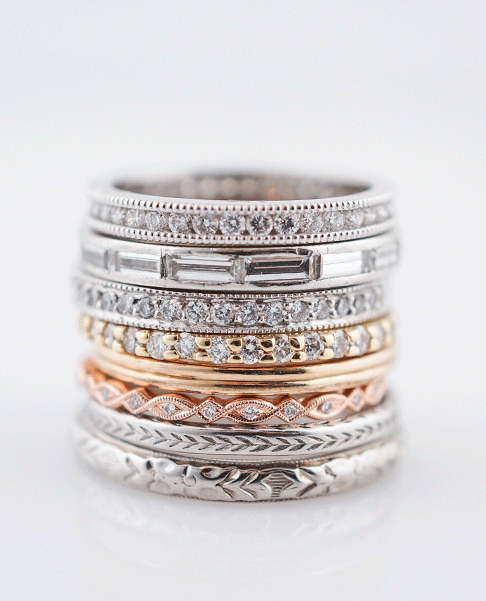 A low profile ring that is full of character and sparkle and wonderful for everyday wear!